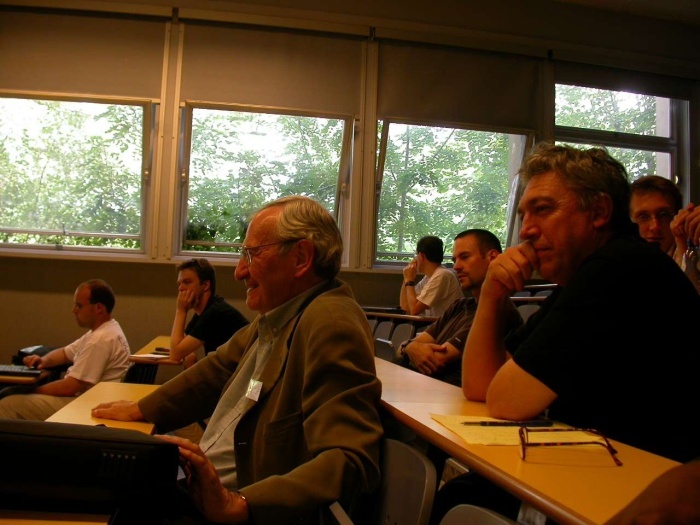 This photo was taken during the Metz LSM 2003 (listening Philippe Aigrain): located on the right with a black T-shirt, you can see João Miguel Neves on the left and Jean-Claude Guedon in the middle. One of my greatest joys : to be in front of European Parliament with a yellow T-shirt the 5-6th of July 2005 in Strasbourg and to see in live the "kayak battle"
strong points ( main strength ) : determination & availability & spare time & enthusiastic & non-moderate. Basic knowledge : GNU/Linux, TeX/Latex, Smalltalk/Pharo. Basic knowledge : french, english, chinese. you can get my public key here.